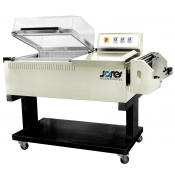 Chamber-Type Shrink Wrapping Systems offer an all-in-one solution for most small to mid-scale applications. 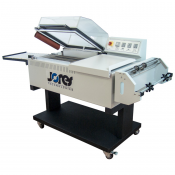 These simple to use units are used by commerce and industry to quickly and securely wrap their products. Our versatile Chamber-Type shrink units wrap individual products or bundles of all shapes, for product protection and excellent appeal. 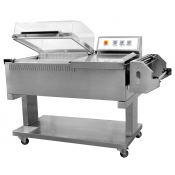 To operate these units the product is manually loaded into the chamber. The chamber hood is brought down by the operator. 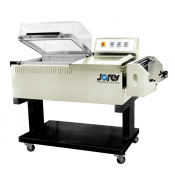 At that time the machine takes over, wrapping the product around a bag and subjecting the item to a brief current of air that shrinks the bag forcing it to the product’s shape. One the cycle is finished the operator retrieves the product and repeats.